Now that June is here, grilling has been our preferred method of cooking. Thankfully, there are just so many delicious grilled recipes that can be made quickly and easily. 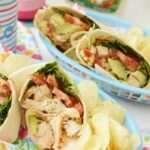 One of my favorite grilled chicken recipes are these Ultimate Double Ranch Grilled Chicken Wraps because my entire family enjoys them, and they are easy to make! 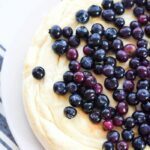 They are perfect for the summer grilling season because they are quick to make, and can even be made ahead of time! Any chance I can get to grill, I typically take advantage of. I love to grill because my kitchen stays cleaner, there is less clean up, and the results are always delicious. I find that you can always turn even the cheapest cut of meat into something tasty when you marinate it. Marinades are some of my favorite things to whip up. I love to use what I have on hand, and the versatility of marinating proteins like chicken are almost endless. I recently whipped up these delicious Double Ranch Grilled Chicken Wraps. 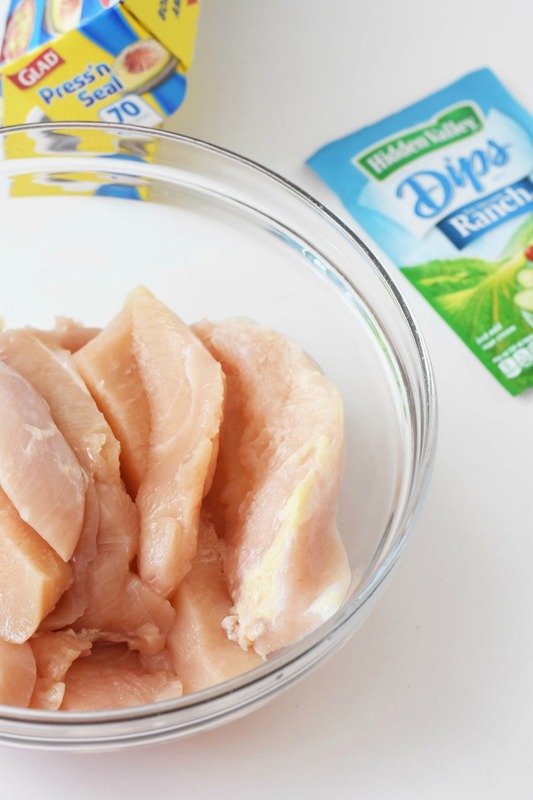 They are a family fave because you can use the ranch-flavored chicken as the main star of the dish or in a wrap, pasta, or other easy-to-assemble salad. 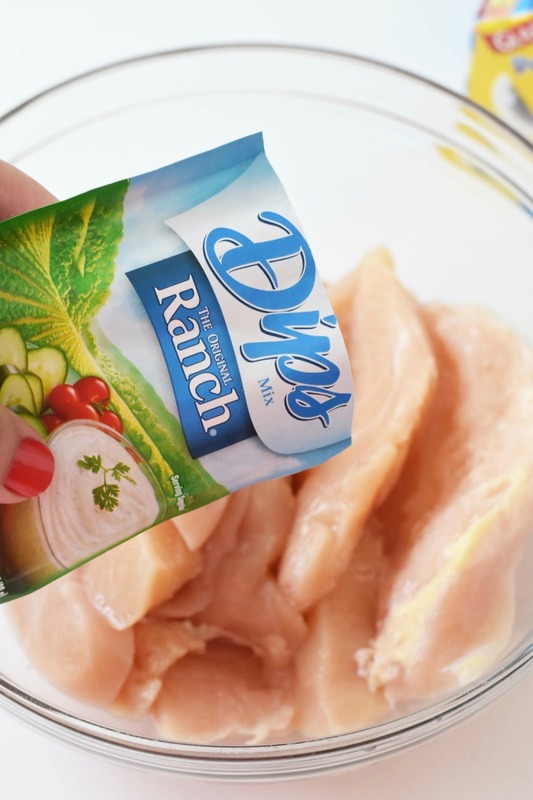 Today, I decided that these Grilled Chicken Wraps featuring marinated chicken strips enveloped in creamy Hidden Valley® Original Ranch® dressing were too good not to share. 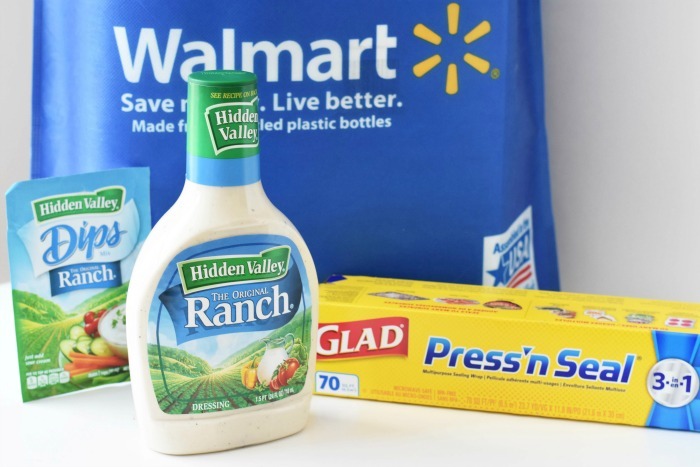 I purchased the large, 24-ounce size of Hidden Valley® Original Ranch® Dressing, a packet of Hidden Valley® Ranch Dry Dip, and some Glad® Press ‘n Seal® at Walmart. 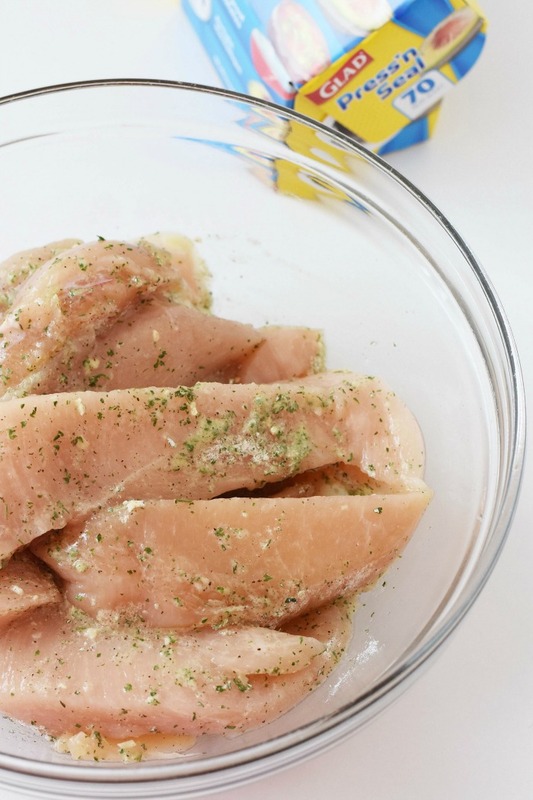 To marinate the chicken breast strips, I added 1 tablespoon of E.V.O.O and 2 tablespoons of water to a glass bowl along with a Hidden Valley Ranch Dry Dips packet. 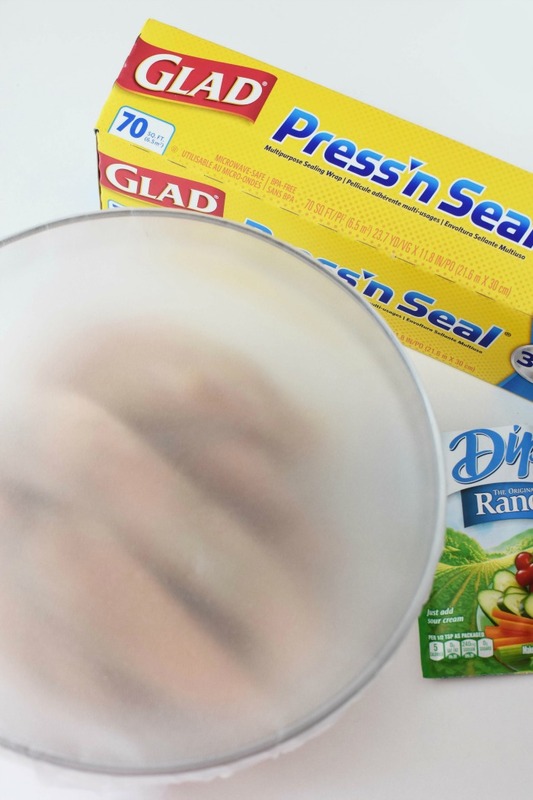 I love Glad Press ‘n Seal because it is so easy to use- you literally spread it over what you want to cover, and press to seal. 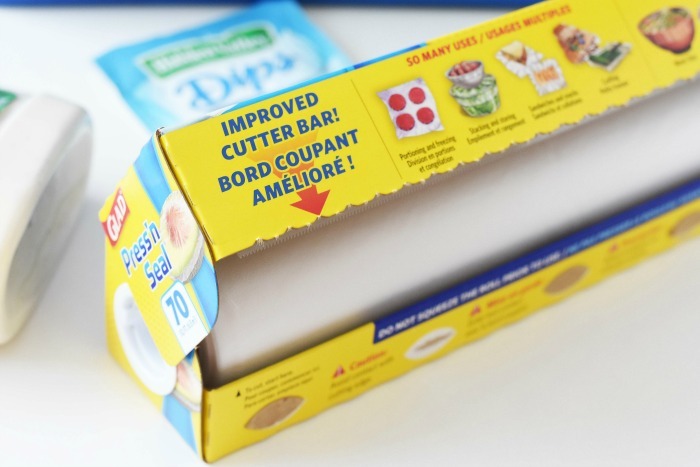 Did you know that Glad Press’n Seal Food Wrap can create custom shaped bags and create tops and lids perfect for freezing, stacking and storing? Once the chicken marinated for at least 1 hour, I put it on the grill over low heat until done. 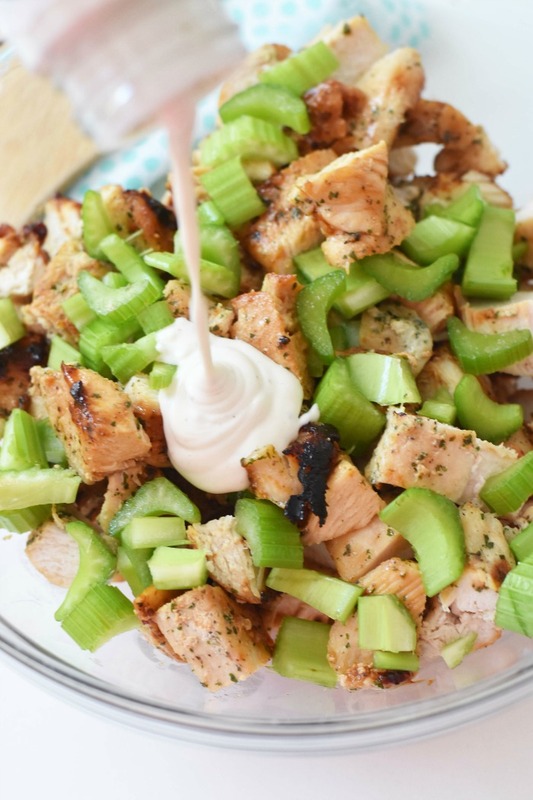 Once clear juices ran freely from the thickest part of the breast, I removed them and allowed the meat to rest for 10 mins.After it rested, I cut it into small cubes, and then added 1/2 cup of celery and 1/2 cup of Hidden Valley Original Ranch dressing.I love how this dressing is easy to control with the flip cap! You can instantly add flavor to any meal with just a pop of the cap! After it rested, I cut it into small cubes, and then added 1/2 cup of celery and 1/2 cup of Hidden Valley Original Ranch dressing. 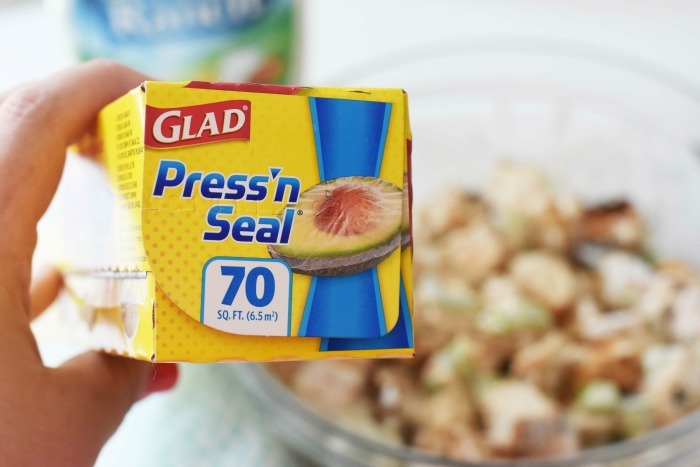 I love how this dressing is easy to control with the flip cap! You can instantly add flavor to any meal with just a pop of the cap! This made the boldest, most flavorful chicken ever! 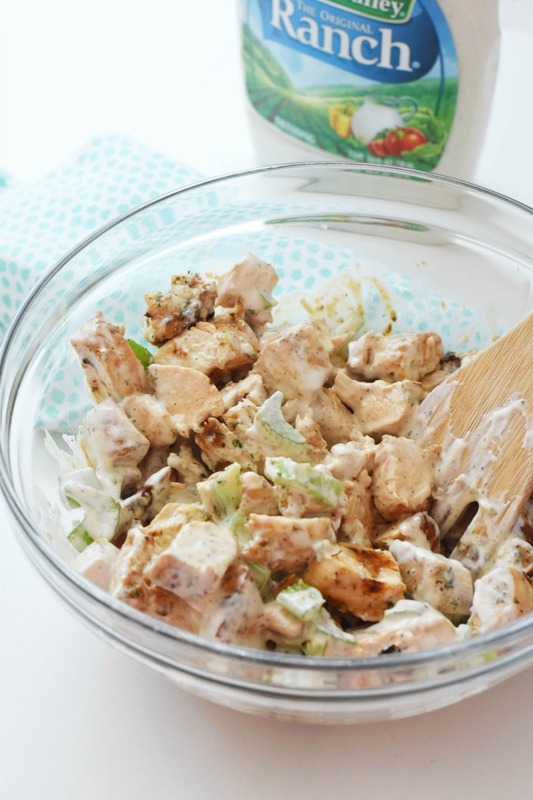 We all know sometimes grilled chicken can taste dry, but the dressing makes this a winning recipe! 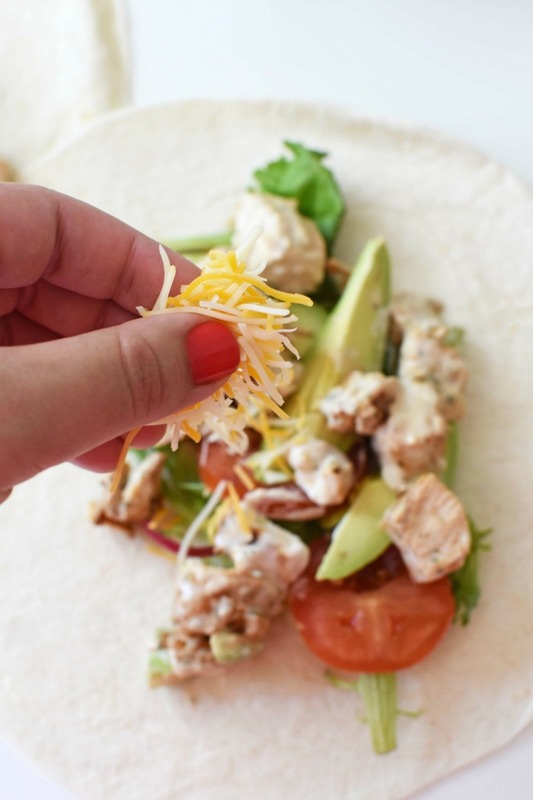 You can eat this ranch chicken salad either alone, on a bed of greens or in a wrap. 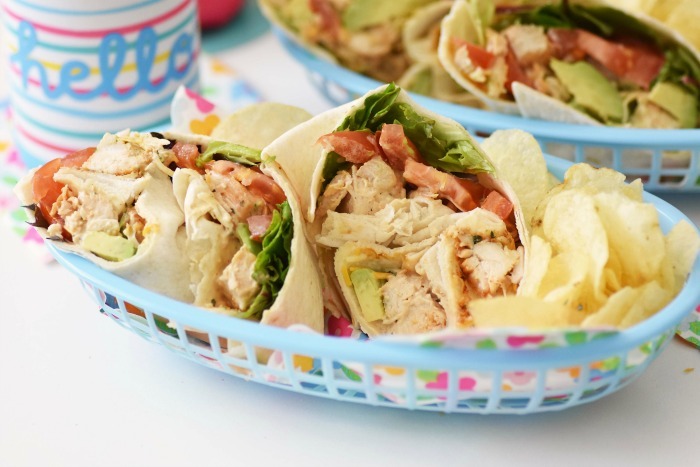 We preferred a wrap because then, you can add tomato, avocado, greens, and cheese to make a delicious warm weather meal that is ideal for summer fun! 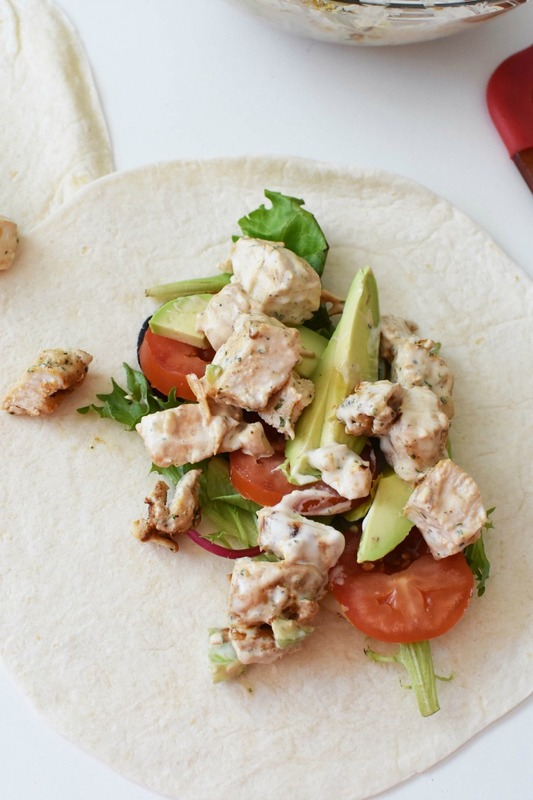 I love the crunch of the celery and the creamy flavor of the ranch in this easy-to-eat wrap. Find everything you need to recreate this meal effortlessly at Walmart. 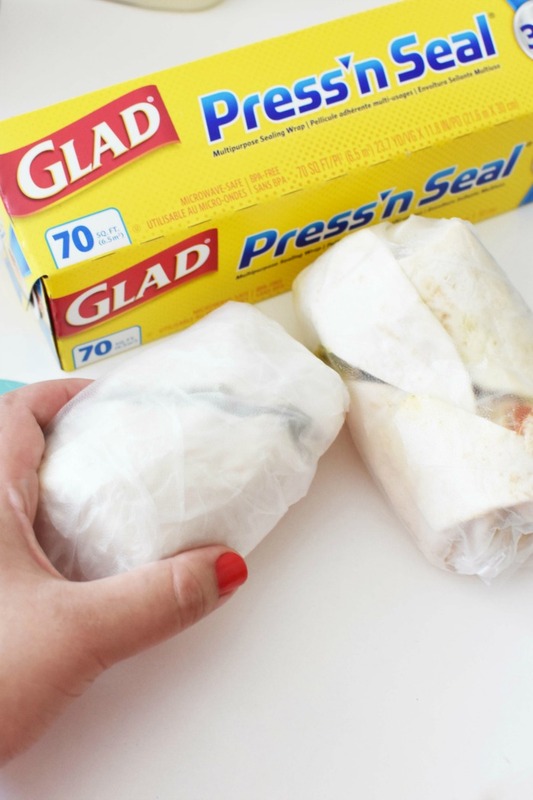 Remember, you can make these ahead of time and wrap them for later thanks to Glad Press ‘n Seal! I will be batch grilling this summer so when I need a quick meal after the beach, everything will be ready to go! 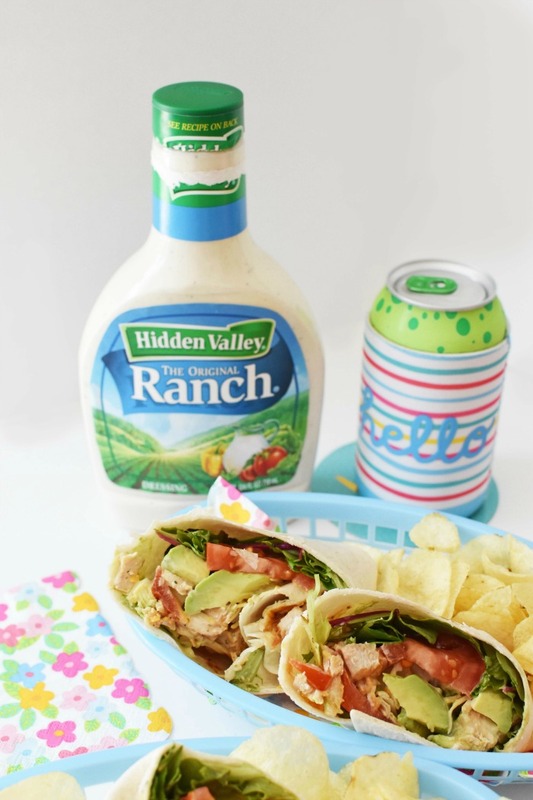 What are some of your favorite ways to enjoy Hidden Valley Ranch dressing? Those wraps look extra tasty. Nothing is better than ranch – on anything. I think I’m going to have one happy family this weekend! Yum! 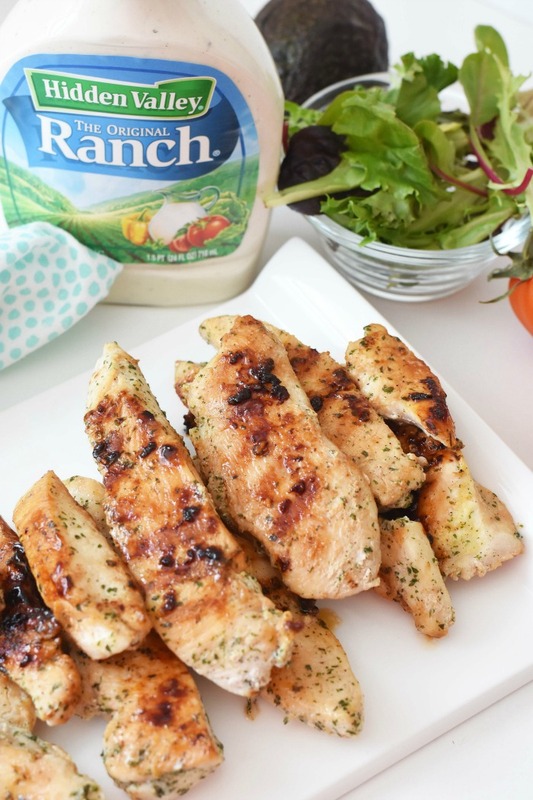 I’m such a sucker for everything Ranch these days – one of my favorite flavors! 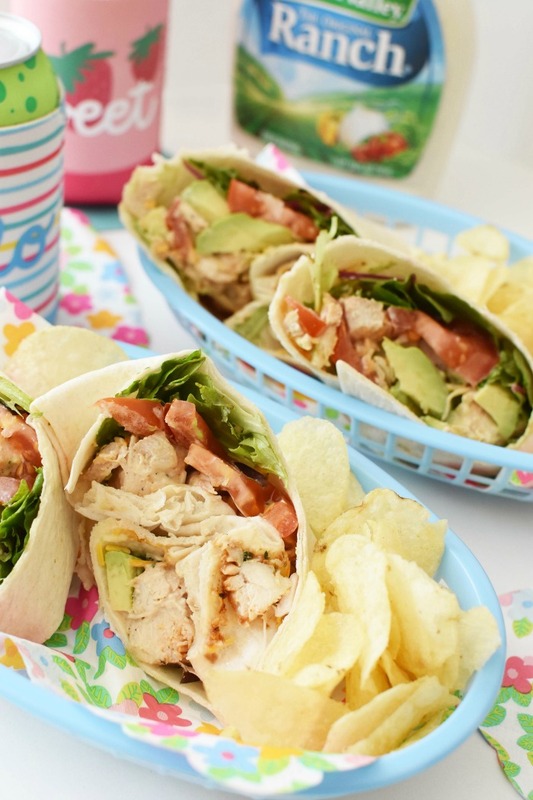 These look like such a great, light summer lunch! 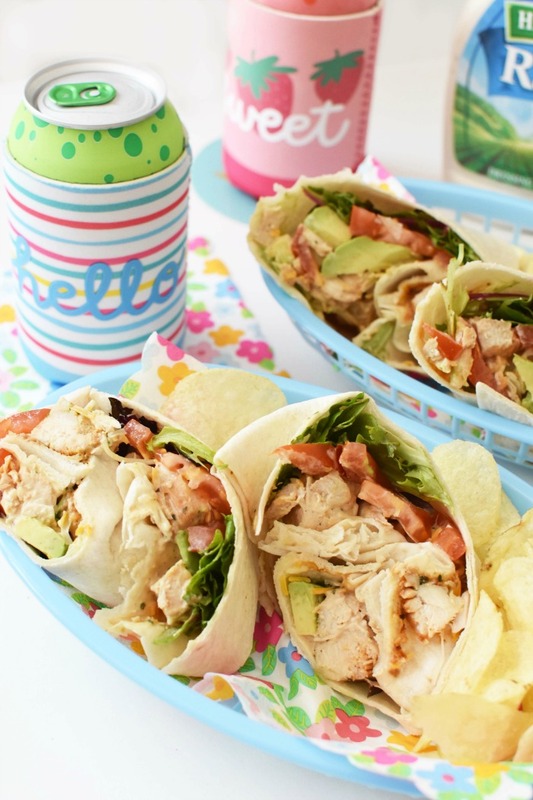 These wraps look like the perfect summer lunch! 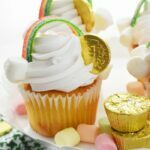 My oldest loves HIdden Valley Ranch on everything so I bet he’d love this! We are big fans of Ranch dressing. My husband is always dipping his veggies in it. I am loving that chicken wrap. We love ranch dressing! 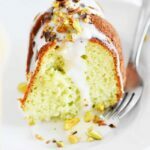 Your recipe sounds soooo good! I can’t wait to try it! I love Ranch Dressing on all kinds of things. 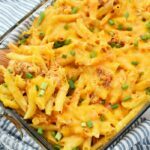 Your recipe looks so delish, a very family-friendly dish that I think kids will also love. It looks really delish! No doubt this will be a huge hit in my house! OMG, these look absolutely amazing. 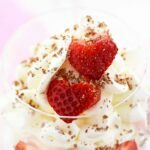 I love a quick, delicious, and easy recipe. I’m bookmarking this, thanks! These chicken wraps look delicious. I can’t wait to give them a try.